There’s no better feeling than getting sky-high. The scenic ride up filled with anticipation and excitement. 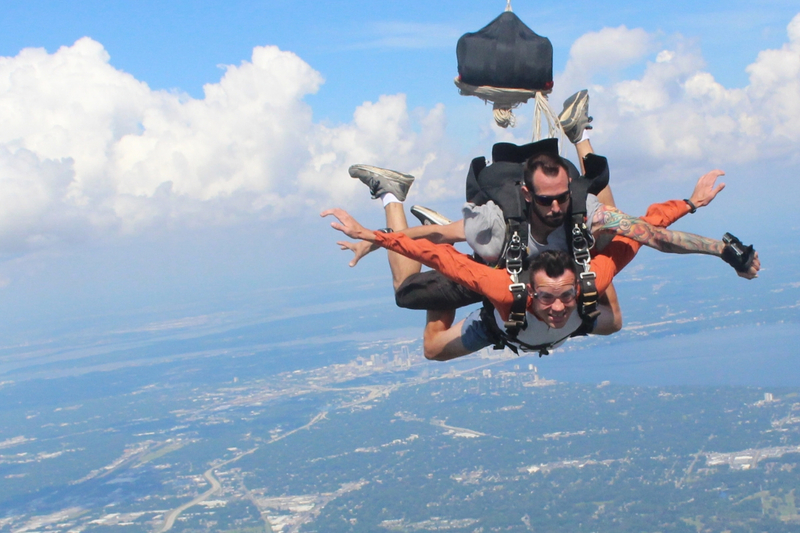 The adrenalin-induced exhilaration of freefall as you soar through the Florida sky at 120 miles per hour. The quiet calm under canopy as you take in views of the city, St. Johns River and even the Atlantic ocean. The touch down in the landing area when the triumph of what you’ve just accomplished sinks in. 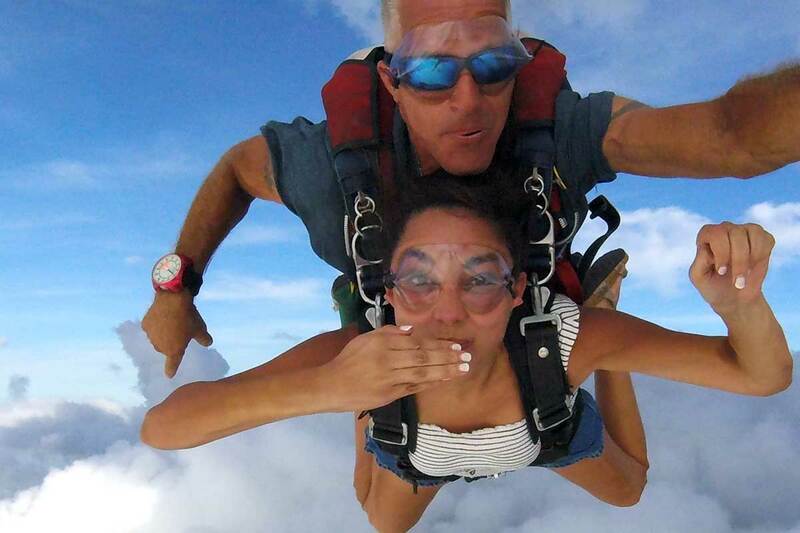 Tandem skydiving is the most popular jump choice for first-time skydivers. 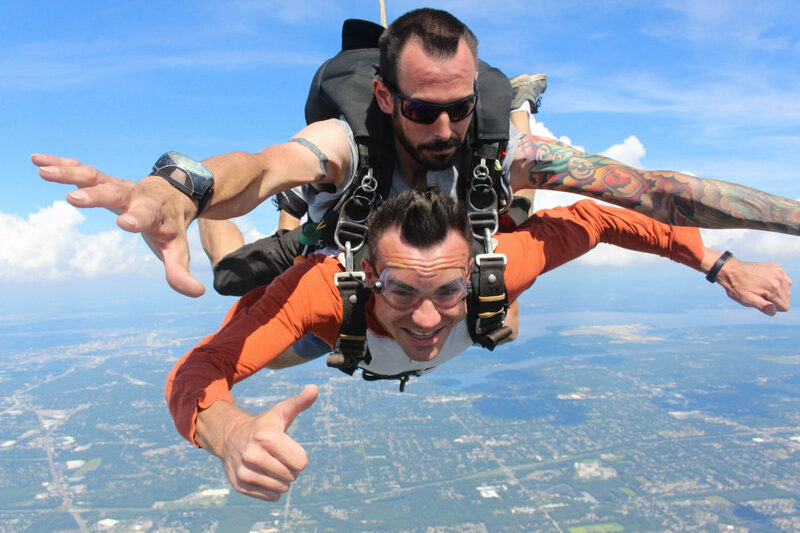 With a few exceptions, just about everyone can make a tandem skydive and experience the thrill of skydiving with no prior experience required. You’ll begin with about 20 minutes of ground training that teaches everything you need to know to safely make your first jump. After your training class, you’ll be paired with one of our highly experienced USPA (US Parachute Association) rated skydiving instructors. Then, you’ll suit up and head to the runway to board our plane. A smooth 20-minute ride up to altitude will take you to the perfect spot 10,000 feet from the ground to exit into the big blue. 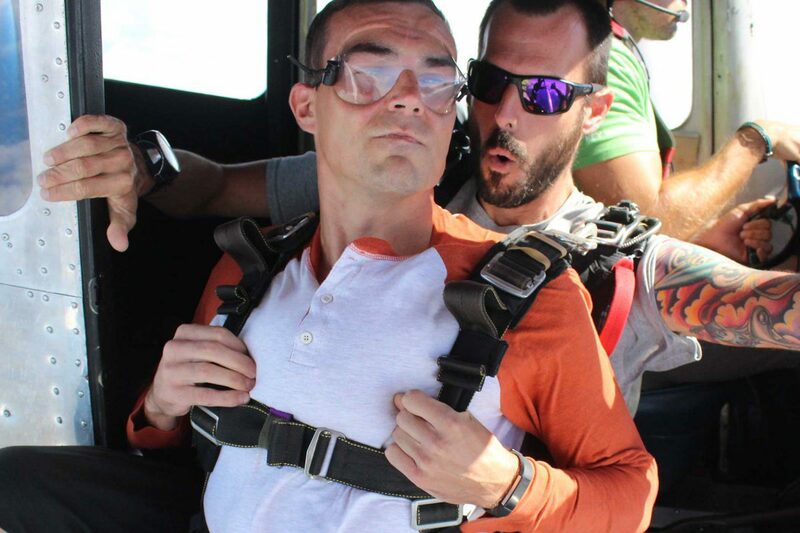 At go-time, your instructor will conduct a final check of all of the skydiving equipment, open the door and usher you across the threshold into the most wonder-filled minute of your life. When the time is right, your instructor will deploy your parachute and you’ll experience the gentle, peaceful side of flight. If you’re game, your instructor will even let you steer. If years in the sport tells us anything, on landing you’ll likely declare that it was the most amazing experience of your life and that you’ve just got to do it again. It’s that awesome. Get the video and pictures. There’s so much to take in, you’ll be grateful to relive the whole experience again and again with up-close and personal video taken by your instructor. You’ll have approximately 150 high-resolution still pictures and high definition video put on a USB thumb drive before you leave. Invite your pals to watch you fly. Your fans have a front-row seat to the action by having a designated spectator area right next to the landing zone. Bring your ID to prove your 18 or older. Skydiving is for everyone. 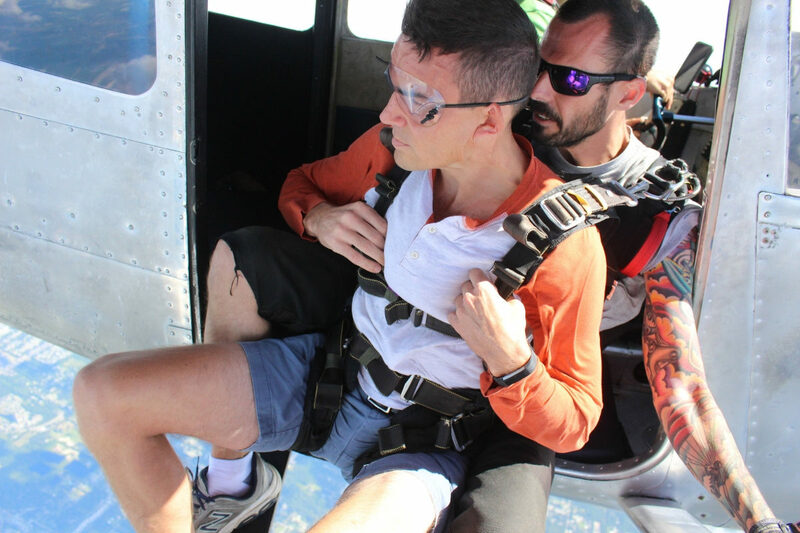 As long as you weigh 250 pounds or less and are physically able to safely experience a tandem jump, we’re here to make your dreams come true.